Limited time offer for Home Cleaning in Vancouver -- 30% off your first booking! There’s so much to do in this beautiful city that it can be hard to get the housework done. 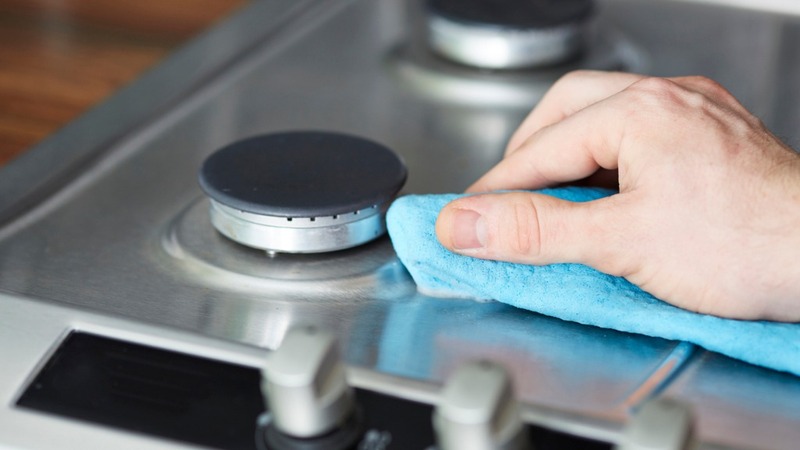 If you’re looking for Vancouver house cleaning services then look no further - on our Handy platform, we can connect you with the right house cleaner for you. Do you come up with lots of plans only to have to put them off to do the vacuuming or clean the bathroom? Why not save yourself time and prioritize the things you love by booking the best cleaning service Vancouver has to offer? We’ve been helping people just like you keep their homes clean and tidy since 2012, and booking through our platform is so fast and simple. It takes just a minute to book a cheap home cleaning service through Handy. Wherever you might be in Van, you can find your new home cleaner through us. Using the Handy app, you can book from wherever you are - at work, at home, or from the food truck line at lunchtime. Our Handy website makes it just as easy to book the best Vancouver home cleaning services. From vacuuming and dusting to making the bathroom and kitchen gleam, your maid service will make your home spotless again. You can book a regular weekly slot or just arrange a cleaning when you need it. A housekeeping service will help take the weight of your housework off your shoulders. All Vancouver house cleaning jobs booked through Handy are tailored around you, so they fit in with your busy lifestyle. All professional cleaners booked through the Handy platform are thoroughly vetted, and they will also arrive with all the equipment they need to do a great job. After booking, all you have to do is just sit back and relax. If your home cleaning chores have gotten the best of you recently and you want to save yourself even more time, you can add home cleaning extras onto your booking as well. Whether you need help washing and drying your laundry or cleaning the insides of ovens and fridges, there are many options available. Because your satisfaction is our priority, all bookings come with the Handy Happiness Guarantee. That means if you’re not happy, we’ll work to make it right. We understand that sometimes the unexpected happens and that’s why we’ll even reschedule your booking -- just give us at least 24 hours notice. When you book house or apartment cleaning in Vancouver with us, you know you’re going to get a top-rated professional to take care of everything. Clean & wipe window sills, dust bed room & den furniture. No need to load diswasher or remove the garbage. Please bring proper cleaning materials for bath tub cleaning...mild stains. Don't bother with the red shag carpet in the living room (unless you have a super powered vacuum ;-). Thank you! Inside of fridge if it needs it. I have a large long haired dog. Very friendly but there is always dog hair. I vacuum and run the roomba religiously but just making it known. I would like my two couches vacuumed well as I have a cat. Also I am flexible on the time. I have two cats and I will be home the first time to go over any other details ! The main focus is the bathroom, then the kitchen, then the cleanliness of the the condo. We have a dog! I know in the past cleaning services have been nervous. She is very sweet. I will treats for you to give her. She will be excited for # seconds and then will crash on the couch. With so many great things to do in Vancouver, we know you want to get out of the house and not be cleaning this weekend. That’s why, when you give your home cleaning list to your new cleaning lady, you’ll free yourself up to get out there and do all the things you want to do. When was the last time you took the kids over to Vancouver Island or took the dog for a run around Stanley Park? Now you can join your friends for drinks in Gastown, or sit outside on the terraces overlooking the bay and watch the seaplanes come in. And the best part about living in Vancouver is the great outdoors. Now you don’t have to feel guilty about the vacuuming -- go for a hike, try kitesurfing, or even take a snow day up in Whistler. We connect you with the best home cleaning in Vancouver because you have much better things to do than clean!